Can self-driving cars save the day? Driving can be a pain sometimes. After I had a surgery on my left hand, I resented purchasing a manual car for the first time after weeks of painfully pushing my bandaged hand up against the gear stick. I’m sure everyone knows the struggle of finding a designated driver for a big night out when you don’t want to pay an arm and a leg for a taxi (or worse, literally paying an arm and a leg in a crash caused by drunk driving). So what if a car didn’t need a driver at all, but it would still get you safely to wherever you needed to go without being confined to public transport routes? We won’t need to wait too long to find out, because development of these vehicles is well underway with cars already being tested on the roads. Several companies are no doubt hoping they’ll become the future of transportation. Unlike the autopilot feature in the Tesla Model S, which still requires the driver to pay attention to the road, a self-driving, or driverless, car takes care of absolutely every aspect of the journey. 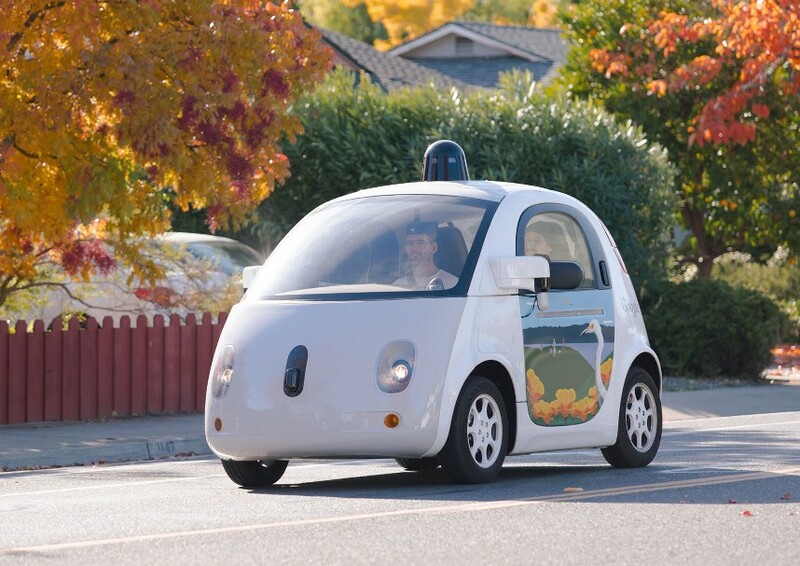 Google is working with carmakers to develop self-driving vehicles. They decided to take this direction for their cars after noticing some problematic behavior during testing. Even though drivers were told they still needed to pay attention to the road in case they had to take control of the testing car, people still started taking out their phones, talking amongst themselves and basically ignoring the road in every way imaginable. Because of this, it was decided a half-and-half approach wasn’t the best option, especially when you consider the recent fatal accident which occurred while the driver was using Tesla-S autopilot. Self-driving cars “see” thanks to a laser system known as Lidar mounted on the roof which creates a constantly updating map of the car’s surroundings as it moves along the road. The cars know how to obey traffic lights and other road rules and they even keep a look-out for pedestrians who might be crossing the street – perhaps with a vigilance that isn’t achievable by human eyes. Google already has a little fleet of self-driving cars driving people around in certain US cities, though they’re taking things slow at first with a top speed of 25 miles per hour (~40km/h). Of course, if you’re not too keen on the “friendly marshmallow” design used for Google’s current prototypes (Baymax from Big Hero 6, anyone?) then you may want to save your excitement for the sleek, gratuitously futuristic approach taken by the Mercedes-Benz F 015 Luxury in Motion concept car, although you might be waiting a bit longer for something like this to hit the market. This technology is going to do a lot more than just let you have a hassle-free boozy night out (although its potential to reduce drink-driving deaths is nothing to be sniffed at). Once self-driving cars get out there on a worldwide scale, a lot of people who can’t drive manual or even automatic cars are going to have the option to get from A to B in a self-driven vehicle, especially if the technology is adapted into some form of public transport or taxi service. That includes the elderly, disabled, and people recovering from illnesses or injuries. The technology will also create more free time. When your eyes don’t need to be on the road, you’re free to spend the trip doing whatever you’d like, whether it’s making a productive business call or just relaxing with a book. The car also doesn’t need to be occupied to travel. Need to pick up the kids from school? Send the car to collect them and then have it swing by the office to pick up mum from work on the way home. Is the cost of fuel cheaper than a day’s parking? Of course it is, so just send the car home and have it come back in time for your departure. Google’s test cars have already driven over 1.5 million miles (>2.4 million km), but they’re not immune to mishaps. Even at their slow speed, the cars had been involved in 14 minor collisions to date, including one notable incident where Google admitted some responsibility after their vehicle hit a bus while attempting to avoid some sand bags on the road. However, these kinds of accidents could happen with any human driver; 8 of those 14 accidents involved the Google car being rear-ended by another driver while stopped at a traffic light, so it’s not exactly a case of unsafe A.I. The more unusual risk is that by introducing a dependence on technology to a traditionally manual object, it becomes exposed to technological threats. Hackers have already figured out how to “trick” a Lidar into sensing an obstacle when there actually isn’t anything there, which poses the question of whether or not human interference will be a big obstacle in the future of self-driving cars. There are still a few uncertainties around the whole self-driving car thing that would understandably have a few people unsure about participating (like whether the car would sacrifice the driver to avoid hitting a greater number of people or vice versa). The good thing about that is that Google is still testing the technology and given the high stakes, it’s safe to assume that they won’t be bringing the cars to the market until they’re sure they’ve addressed all the issues. Until then, we’ll have to wait and see how the technology is going to have an impact on our roads as well as our lives. 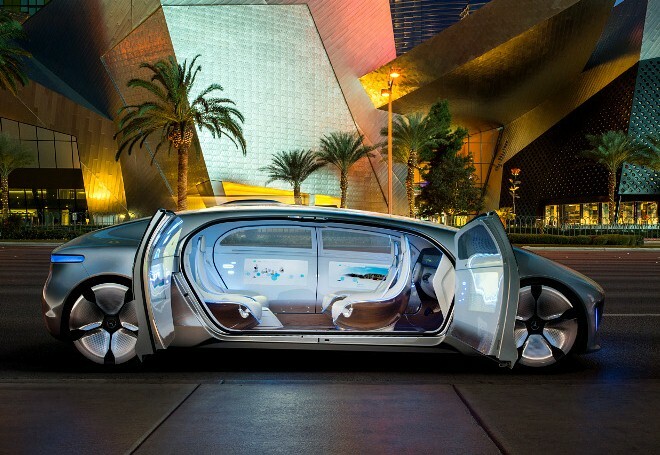 Would you ride around in a self-driving car? Tell us in the comments. As a driver in mainly rural areas it concerns me how the logic to protect pedestrians is designed. If a car may risk or sacrifice the life of the car occupants to protect a pedestrian will it do the same to protect a kangaroo or other animal. This all gets back to Isac Asimov and his laws of Robotics. Trouble is Philosophers are at a loss as to how to build a MORAL SYSTEM similar to a LOGIC one !. So Google driverless cars will have problems. Should it run down an Elderly or Crippled person or a young one when confronted with the only option of an either/or choice ?. The technologists fail to consider the human behaviour which will defeat the concept. How many people would take their self driving car into the city for a meeting and then avoid parking costs by telling the car to circle the block until the end of the meeting! School drop offs will be chaotic with parents having their children delivered in a self drive car, which then comes home (or to the parent’s work) driverless. If you live in a flat you send your car to somewhere in the suburbs overnight, and back to pick you up in the morning! City grid lock! Please keep us up – to-date on Future Developments ! Google are using a very expensive Lidar and HD maps accurate to 2cms (also very expensive), and only available in California.It is difficult to see how this approach will lead to affordable autonomous cars. Tesla are using MobileEye as their primary system and NVDIA as a secondary system and have clocked up 130 million miles (nearly 10 times Google’s).Their system is designed for highways anywhere, but will in fact work on any roads with at least one white line.A fatal accident occurs at least every 100 million miles, so Tesla claim that their autopilot system is safer than the average human driver despite the recent tragic accident. Autopilot will drive the car hands free, but the driver is asked to keep their hands on the wheel. Indeed if the driver ignores the warnings, the car will pull over to the side of the road and stop.At the moment it is a brilliant driving aid, but regular firmware updates over the air are improving it all the time. I am vision impaired and have never been able to get a driver’s licence. In the city where I live (Canberra) the public transport is appallimg, meaning I struggle with, or miss out on, much of life that everyone else takes for granted. I am super excited about the potential of driverless cars to change the lives of ‘forgotten’ people like me – the sooner the better! Perhaps you have not heard of the fatal crash they had recently, & another serious crash since then. I doubt they will be in the public domain for quite some time. I actually enjoy driving and get a great deal of satisfaction and achievement out of getting into my car and driving to my destination and facing whatever challenges occur along the way. I’m very interested in a car that drives itself as I’ve just recently been told that my vision is below the legal driving limit (and I’ve had to sell my beloved Cabriolet!). As a retired computer tech I would not rely on a computer driven car. I’m approaching 80 and my driving is neither as good nor as enjoyable as it used to be. A small driverless car to take me to the train station and the shops? Bring it on! With the number of idiots on the roads, mainly 18 to 40 age group, I figure that these driver less cars could be a real boon! At the moment, a “P” plater can get into a high powered car and drive like there’s no tomorrow, causing no end of damage and death. They should be limited to cars of 1000 cc’s, or less until they prove after 5-6 years of driving under every season and torrential rain. I cannot understand why authorities allow such lethal weapons to be in children’s hands. Yes, when these driver less cars have had all the “bugs” removed, I’d say it’s the way to go. If the driverless car can do something wrong at say a roadwork’s or a new one way system who is legally liable ? This is the future. If google need a test passenger, I have my bags packed ready to go. I probably won’t get to see these cars tak to the road. Very good article on the driverless car. We don’t need to worry about it anyway because we are governed by older people and older people are scared of technology. I am willing to bet my house on the fact that the 3 things you will want a self driving car to do for you will not be legal. The three things are. 1 Drive you when your drunk. 2 drive when your not in the car. 3 drive while your in the back asleep or preoccupied with something else. Hell yes I would!! As somebody who has a lot of anxiety driving or using public transport it would work well for me. Taxi’s are too expensive to rely on. I love the idea of sending the car on errands! HOWEVER… be a long time before I’d be able to trust the technology. I think I’d be too afraid to ever use it, but it would be nice. How does an incident play out in court when an AI decision is in control? What happens when roads have been changed or new development yet to be unloaded? I have really no interest in self driving cars, one of the main points of owning your own vehicle is “the driving”. if that is taken away from you, why bother, you may as well get a bus, train or taxi. I am less and less inclined to purchase a new vehicle as more and more they seem to be overriding the driver, whether it’s for parking, braking and worst of all is verbal instructions. What we really require is vehicles with less Tech inside that is a constant distraction to the driver; drivers need to be made more responsible for their own failure to observe the road, than provide tech that gets them out of trouble because of their poor driving skills. I believe you’ll find that Google Car accident with the bus could have been avoided if the bus driver had been paying attention and applied its brakes before hitting the Google Car. Driverless cars are just avoiding real-future thinking – a bit like putting softer springs on a horse and cart – cars are still old technology that we need to be put to rest. It won’t get done while we waste time “improving” the 21st century’s version of horse & carts. Transport needs to be lifted off roads and onto a centrally controlled transport system. That way power can be generated efficiently and traffic flow can be efficiently routed, instead of drivers blindly stumbling through the road network. Individual Transport-Pods need to replace cars and the sooner the better. I am all in favour of driverless cars. I am nearly 75 years old and not afraid of new technology. Actually I am an electrical engineer and well versed in control technology. And don’t imagine for a minute that Microsoft Windows will be used to control them! As soon as the driverless cars are safer than humans and automatic updates are included they should be introduced ASAP. I suspect that automatic override will be compulsory for extreme situations for those who enjoy their driving.The auto cars are likely to be all electric charging themselves where necessary. Also the probability is that they will generally be ordered when necessary rather than owned. (Like a driverless taxi). Order one on your phone giving you destination (your position would be automatically sent) and one will drive itself fully charged to where you are. After you have arrived at your destination it will drive itself to the next customer having reminded you that your have forgotten your umbrella. Yes it will happen the technolgy is already there. I think I would be apprehensive at first to trust the computer driven vehicle, but realise that we already trust the auto pilot in airlines. Most would be shocked at just how much of any flight they travel on is handled by the auto pilot. Just returned from the UK and was surprised at how many electric car charging stations there are around – so far ahead of us in Oz. I’m not frightened of new technology, and am intrigued to see where it takes us. AS AN 87 YEAR OLD DRIVER WITH WELL OVER A MILLION MILES/ & TWO MILLION kILOMETERS ON MY RECORD. BUT I WILL BE VERY HAPPY TO HAND THE CONTROLS OVER TO A COMPUTER. 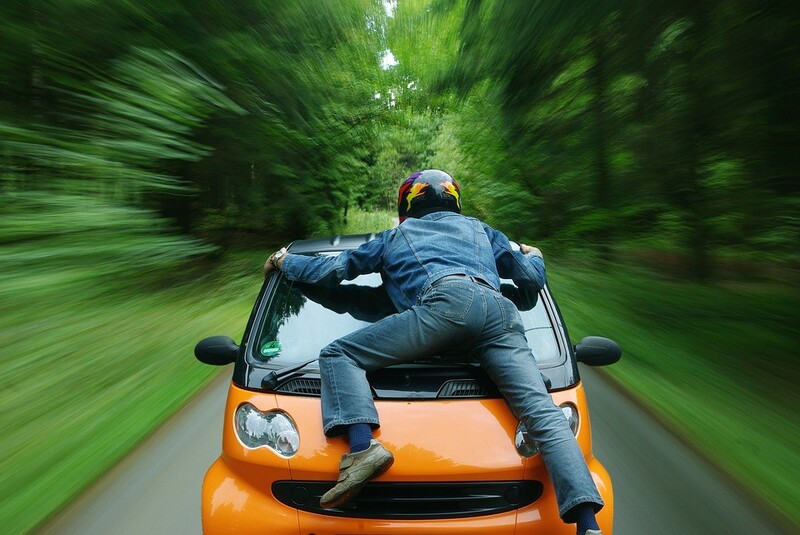 THE RISKS OF AN ACCIDENT WILL SILL BE THERE. BUT I BELIEVE THE RISK OF AN OLD MAN HAVING AN ACCIDENT WOULD BE FAR HIGHER. BRING THEM ON! THE SOONER THE BETTER. Unless it’s driverless cars all ’round how would a fool doing 120 in a 60 zone be avoided if he was on a collision course with you? Especially if you’re sitting back enjoying coffee and cake.